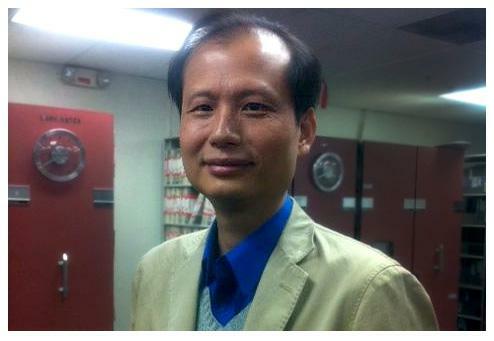 Maddox Prize 2012: Shi-min Fang wins award for exposing scientific fraud in China. The blogger who uncovers plagiarism, false claims, and faked research in China. Shi-min Fang has held research posts at the University of Rochester in New York and the Salk Institute for Biological Studies in La Jolla, Calif. He is now a freelance science writer. He just won the inaugural Maddox Prize for exposing scientific misconduct in his native China. Jon White: You’ve just won the inaugural Maddox Prize, awarded for your continuing work exposing scientific misconduct in China despite the threats you face. How does that feel? Shi-min Fang: I am thrilled and honored. There are many people who are supporting me and fighting with me, so I consider this award as an acknowledgement of all our efforts, not just mine. JW: What prompted you to start challenging dubious pseudoscientific claims in China? SF: In 1998, after eight years studying in the United States, I returned to China and was shocked to see it was deluged with pseudoscience, superstitions, and scientific misconduct. JW: What action did you decide to take? SF: I had created a Chinese website called New Threads in 1994 when I was a graduate student at Michigan State University as a forum for sharing Chinese classics and literature. From 2000, I started to publish articles on the site fighting scientific misconduct and fraud. Eventually, New Threads became a flagship for those fighting pseudoscience, misconduct, fraud, and corruption among the Chinese science community. JW: Are dubious claims a big problem in China? SF: The majority of cases exposed are plagiarism, the exaggeration of academic credentials, and faked research papers, which are endemic in China. JW: Tell me about some of them. SF: A typical case was the nucleic acid “nutrition” scheme—supplements promoted to boost energy levels in the tired, pregnant, and old. It involved more than a dozen Chinese biochemists and was the first that brought wide media coverage, both domestically and internationally. New Threads has exposed more than 1,000 cases of scientific fraud. JW: Why is science fraud such a problem in China? SF: It is the result of interactions between totalitarianism; the lack of freedom of speech, press, and academic research; extreme capitalism that tries to commercialize everything including science and education; traditional culture; the lack of scientific spirit; the culture of saving face, and so on. It’s also because there is not a credible official channel to report, investigate, and punish academic misconduct. The cheaters don’t have to worry they will someday be caught and punished. JW: What have been the worst moments? SF: I have been sued more than 10 times. Because the Chinese legal system is very corrupt and a ruling is not always made according to the evidence, it is not surprising that I have lost some libel cases even though I did nothing wrong. In one of these, a local court at Wuhan ordered me to pay 40,000 yuan (about $6,400) in compensation and transferred the money from my wife’s account. I have also narrowly escaped from an attack with pepper spray and a hammer. JW: Has it been worth it? SF: Yes. I fully understand the risk I am facing and am willing to take it. What troubles me most is that my wife and my young daughter also have to endure vituperation and personal attacks.